$ HomeAdvisor Rewards: Get $50 cash for completing three projects. 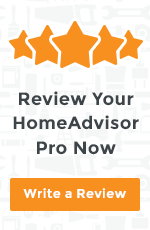 "HomeAdvisor is a secure way to find contractors. HomeAdvisor makes it easy to find local pros who specialize in exactly the type of work you need done. Just tell us a few details about your project and we'll match you to the best pro for the job. HomeAdvisor's detailed True Cost Guides take the guesswork out of budgeting. Get local and national cost data for over 500 types of jobs and be better informed. Create personalized design boards from high-quality images of the styles and spaces that inspire you. Once your design board is complete, DesignMine lets you easily share it with friends and family. And when you're ready, you can collaborate with local pros to bring your vision to life. Get up to $35,000 with no equity required. Check your rate in minutes without affecting your credit score.